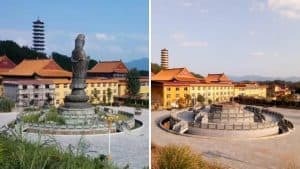 Xie jiao, a term wrongly translated as “evil cults,” but in fact meaning “heterodox teachings,” are religious movements included by the regime in its periodically updated list of banned groups. Those active in a xie jiao are arrested and detained under Article 300 of the Chinese Criminal Code, which makes active participation in a xie jiao a crime. One group in the list of xie jiao is a Pentecostal house church (i.e. 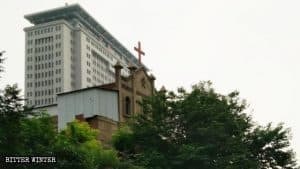 a Protestant community not part of the government-controlled Three Self Church) founded in 1984 in Henan by Xu Yongze (Peter Xu), and known under different names: All Sphere Church, Born Again Movement, All Ranges Church, Word of Life Church. Some scholars have classified this church as Pentecostal. Popularly, the group is also known as “the Weepers,” because of Xu’s insistence on crying as a needed sign of repentance and authentic rebirth. 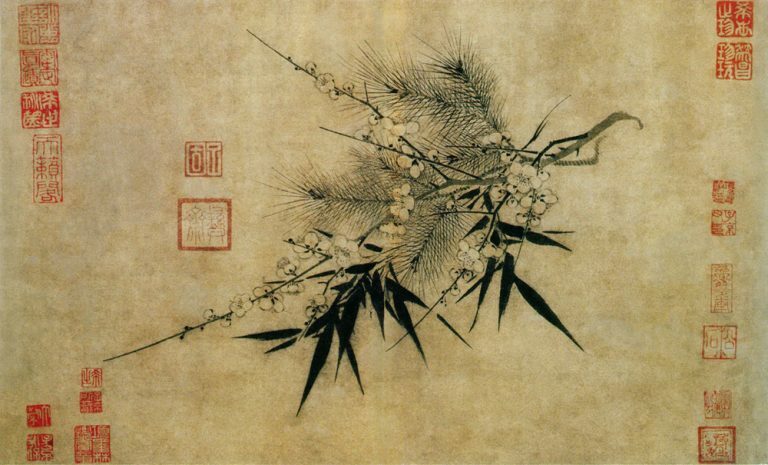 Xu’s group is credited with several million followers, and scholars see its inclusion in the list of xie jiao as a sign of the capriciousness of these lists, since the movement’s theology makes it very similar to other house churches not classified as xie jiao. 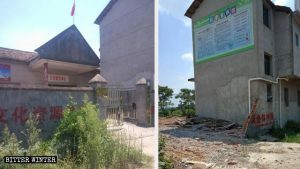 The inclusion of the All Sphere Church in the list of xie jiao also confirms that movements that grow rapidly, with millions of followers, are regarded as particularly threatening by the regime. Bitter Winter obtained documents about the crackdown on the All Sphere Church in the Shandong Province. These incidents had already been reported by ChinaAid and other sources. We learned that twenty-two Christians were having a house church meeting in a factory in Cao County, the city of Heze, Shandong Province, on June 25, 2014. At around 3 p.m., over 50 officers from the Cao County National Security Brigade broke down the door and charged in holding machine guns. 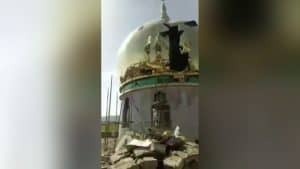 Without showing any documentation, they began searching the entire place, confiscating many of the Christians’ personal items, musical instruments for singing hymns, speakers, tables, stools, and even toilet paper and mosquito-repelling incense. 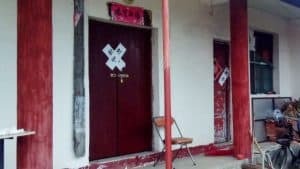 The police accused the Christians of “participating in a xie jiao organization, All Sphere Church,” twisted the arms behind their backs and forcibly took them to the police station. Apart from the twenty-two Christians (including one pregnant woman), there were three children, including two babies under one year, who were also taken to the police station. The pregnant woman, children, and babies were detained for two days, during which the police didn’t allow them to eat or take a single drink of water. The police gave them some snacks only after the mother of one of the babies threatened to kill herself if they were not given anything to eat or drink. Ten of the arrested were released successively, twelve were kept under criminal detention, and ten out of them were released pending trial on July 23. Two of the arrested were sentenced to four years and served their sentence in the Weibei Prison. One of them, 36-year-old Zhang Hua (pseudonym), was questioned individually at the police station. The police tried to force him to admit that he believed in a xie jiao. He argued that he didn’t believe in any kind of xie jiao, only in the Lord Jesus. Displeased with his response, the officers tried to extort a confession through torture: they punched and kicked him, boxed his ears, threatened, and intimidated him. The police didn’t give him anything to drink or eat all night, nor did they allow him to sleep. Unable to get his confession, the police transferred Zhang Hua to the Yushui Business Hotel for secret interrogation on June 27. A captain from criminal police squad who, according to Zhang, appeared to be drunk, repeatedly threatened and verbally abused him. He handcuffed him, savagely straddled and hit him, repeatedly boxed his ears, and brutally punched him in the chest. Zhang recounts that the torture was unbearably painful. The police still could not get anything out of him, so they accused him of “using a xie jiao organization to undermine law enforcement” and sent him to the county detention center. While he was detained, the police demanded 200,000 RMB from Zhang Hua’s family, claiming that as long as they were willing to pay, he would be released after a month. His family realized that the police had arrested and detained Zhang for no reason and were taking advantage of the opportunity to get money out of them, so they hired a lawyer to defend him. After conducting an investigation, the lawyer accused the involved officers from the Cao County Public Security Bureau of serious abuse of power, illegal detention, extortion of a confession through torture, as well as other criminal behavior. In May 2015, the Cao County People’s Court heard Zhang Hua’s case. Although he won the lawsuit, he was still sentenced to four years of imprisonment and was taken to the Weibei Prison in Shandong to serve his sentence. His family was furious and planned to escalate the case, but their lawyer advised them no to do so. “All bureaucrats have each other’s backs. The outcome will be the same even if you go to a higher court,” he said. Zhang Hua has had a previous conviction for his belief: in August 2013 he was arrested by Heze Public Security Bureau police and detained for half a month. He secured his release only by spending almost 8,000 RMB in bribes. So, when he served his sentence for the second time and was released in January 2018, Zhang Hua, fearing to be arrested again, left home and moved elsewhere.